Do you feel like you constantly have PMS? 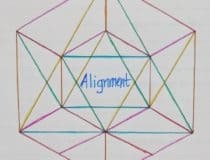 If you’ve taken a look at your anger triggers, and are still feeling perplexed by where all your anger is coming from, you may need to look at your own health. As a mom it’s easy to forget to take care of yourself at the best of times, and when you get busy you can really let it slip. 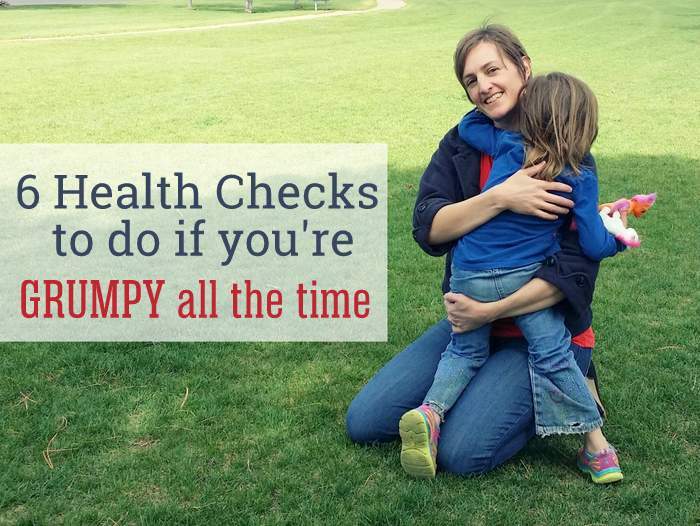 Many of us put off doing things like going in for a regular check-up. For some of us that means we’re overlooking serious health issues or suffering needlessly – feeling grumpy and tired all the time when we could be feeling better with a little TLC. Many treatable health issues can cause exhaustion or irritability. I asked a health professional and about issues that may cause mood changes to gather information for this post, but of course you’ll want to do your own research and talk to your own doctor! 1. Thyroid – Both hyper and hypo thyroid conditions can cause mood changes. A friend of mine who later discovered she had a thyroid disorder described the run up to her diagnosis as being like having PMS all the time and being perpetually tired. 2. Anemia – A frequent issue amongst new moms, low iron levels can leave you feeling tired and grumpy. 3. Blood Sugar – This goes back to regular healthy meals (though of course deeper issues such as diabetes would definitely cause irritability.) Swings in blood sugar can be a serious cause of a bad temper. You know the drill – eat regular meals with protein for lasting energy. It’s almost too simple, so a lot of us make it a low priority and try to get by grabbing simple carbohydrates like crackers or chips or sugary foods for a quick fix. The problem is these cause your blood sugar to go through peaks and valleys and this leads to poor concentration and poor self control. When I’m tired I CRAVE sugar, so I know it’s a tough one, but did you know that your self control relies heavily on glucose – if your blood sugar is low you’re brain doesn’t have the resources to maintain control! Moral of the story – stick with frequent meals involving good fats, complex carbohydrates and protein. 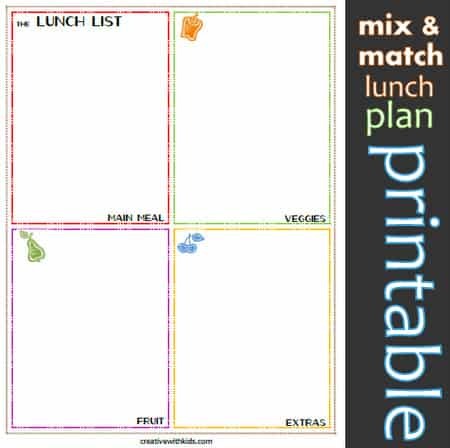 I have this lunch planning printable that may be helpful. 4. B Vitamins – B-vitamins are critical for nerve and brain function as well as for converting carbohydrates into energy. You can take a B-complex vitamin and also can ask your doctor about testing for low levels of some B-vitamins if you suspect this might be a problem for you. 5. Caffeine Intake – I will be the last one to tell you to stop drinking coffee because I would be a major hypocrite. I love my morning coffee. However, it is worth considering that caffeine can cause irritability, and notice if you need to cut back. Especially on days when you don’t have enough sleep and have a long to-do list that is not going to get done, too much caffeine may add to the likelihood that you will snap at your family. 6. Hormonal Cycles – Have you noticed PMS being a major cause of anger or grouchiness? If you notice your temper is linked to your cycles you may want to ask a health practitioner about ideas to help even your hormonal swings. Some gynecologists will have ideas; you might also consider asking a naturopath, acupuncturist, or midwife. If you feel down all the time or grouchy all the time – don’t ignore it! You might have an underlying health issue that is causing problems and need some help. This is just the tip of the iceberg for staying healthy (for instance gluten makes me terribly grumpy and gives me migraines) – can you think of other things people should look into? What’s your number one health recommendation for moms? 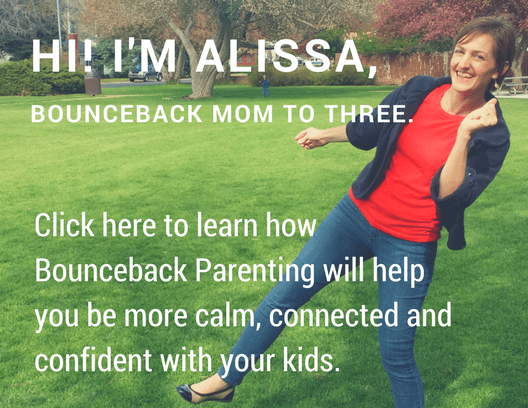 For ongoing support fighting parenting Supervillians, join us in the Bounceback Parenting League. Always a good reminder. In grad school, I thought I might be hypoglycemic but instead of having me get checked, my doctor simply told me to improve my diet and start keeping nuts on hand. Around that same time, my brother told me once (when I called – AGAIN – in a very bad/distraught mood) to go eat something and then call him back. I ate a healthy meal and no longer needed to call him. There is so much truth to the importance of paying attention to our health and diet, especially as busy moms. Also, I am so glad you mentioned Vitamin B. I do not think people realize how significant it is, but I recently had a stretch where I was VERY sick and could not figure out what was going on – it turned out that I had a Vitamin B deficiency that was causing all sorts of other problems for me (including a citrus allergy). Interesting about the allergy Jen. Yes, I find that in order to stay clear headed ahve to either take a b-vitamin supplement or be eating foods that contain enough b’s. Green smoothies work well for me; also liver is a very good source of b-vitmins, but harder for some to get interested in eating. I happen to like liverwurst a lot and make chicken liver pate sometimes and like that. I know this reply is late, but your Dr should still have had your blood sugar checked (and if you read this you want to have some testing done now) I was diagnosed with hypoglycemia in high school and was warned that it could progress to diabetes. And shortly after my first son was born, I was diagnosed with type 2 diabetes. I don’t know how long I have had diabetes because NO DOCTOR every thought it was important enough to check!!! I am so grateful for the one (fantastic) Dr who finally thought my health was important and sent me for the test immediately upon hearing my symptoms. Jennifer – sounds like me! Another thing that has helped me is treating for Candida. I started a Probio5 and Biocleanse system that I believe has made a huge difference in my health. Hopefully, I’ll get those blood sugar spikes under control. They do change my whole personality! I agree that it is important to get some tests done to insure that it’s not prestages of diabetes. However, I was diagnosed with Hypoglycemia 8 years ago, I had suspected I had it for a few years before and had several tests done, all came back negative. Finally, I went to a new doctor and she said that new research was coming out that there are many “types” of hypoglycemia and only 1 or 2 actually show up on blood work. She said that the newest reconditions were to diagnose based on symptoms. A few years later my husband (who is a doctor) diagnosed me with fructose induced hypoglycemia, of which there isn’t a good test for, so again it’s symptom based. The reason hypoglycemia doesn’t always show on blood work is much more complex then I can explain in one comment, but to put it super simply, at whatever point in the burning sugar process that your body run out and triggers the hypoglycemia response, will determine if it shows in your blood. So get tests but keep in mind it doesn’t show up always! Side note: about 2 years ago I stumbled upon an article describing the health benefits of gelatin for your intestines. I figured it was worth adding to my diet and now I rarely have a hypoglycemia episode! Turns out if your intestines are healthy they will work more efficiently! Thanks for sharing a bit about your health journey Amber, super helpful! 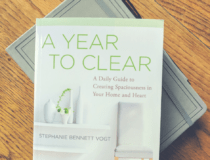 I’m the same way – it’s so easy to put off because it’s a pain tot to do the legwork of getting babysitting or other schedule rearrangements. Seeing a couple friends find out they had health issues that were majorly impacting their lives, yet were solvable has motivated me to be more on top of taking care of myself. Thanks for sharing this! I have struggled with all but the thyroid issues, and I think you are so right–all of these issues combined with a lack of sleep can create huge struggles with a good attitude on a daily basis! I love this post. I have found a lot of help on the stop the thyroid madness blog. Stuff like finding a good doctor and what labs are helpful. I have found parenting to be a lot more fun now! Thanks Kir, I haven’t dealt with thyroid issues, but have a number of friends who have and I know once they got on the correct treatment plan it has really made a big difference in helping them feel better! I’ve heard them mention the same blog. I stumbled across this on pinterest and just wanted to say this is a great article! Women need to read stuff like this. I was diagnosed with a thyroid condition 2 months ago, but it was totally by accident – a routine check-up. Since being on medication, my life has DRASTICALLY improved. I wish I had gone to a doctor earlier since it has taken nearly 2 months to get back to any semblance of normality. Thanks for writing this! So glad you’re feeling better, Kristin and thank you for sharing. I hope it motivates more moms to find out if they could feel a lot better by addressing some underlying health issues! If PMS is an issue, keep close track of your cycle. Knowing it is coming helps me mentally prepare. I also set my calendar to remind me not to agree to do anything extra a week before my period. There are unavoidable things, but I also tend to say yes to everything in that week. Then I am so exhausted and overwhelmed the week surrounding the start of my cycle I am nasty to my loved ones. It also helps me physically prepare. I remember to eat more iron rich foods, sleep and avoid caffeine. Tellina – thanks for your simple, usable advice! Thank, you I need that information today!! !, it really help me. Yes just found out I was chronically anaemic – and was feeling so grumpy and couldn’t control it, and hated feeling like that! I was starting to question my sanity sometimes, but once I got back onto my naturopath and identified a few things and got my health more in balance, I had so much more emotional control! 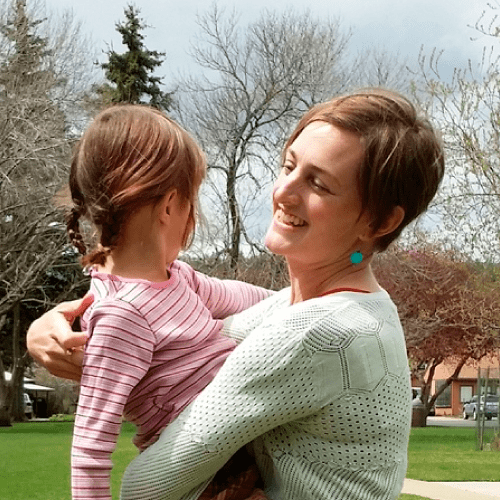 when I just had given birth to my son, I was weak,tired and very irritable and almost felt like I was losing my mind until one day I started losing my hair and.found.out I had an overactive thyroid. on top of that I was hypoglycemic, and my hormones were out of whack( often brought on by a hyperthyroid). No wonder I was going crazy.now after a year,I am.finally balanced after taking an herbal supplement, now I am battling with anemia and hypoglycemia. its a hard thing,amd I have to make sure I eat good nd take iron supplements,bot it really makes me feel terrible. Can I ask what the herbal supplement is please? What a useful post! Two weeks ago I got my bloods checked for feeling unusually tired over the past month… turns out everything is fine except I’m severely low in Vit D. I live in sunny Australia so have to be very careful about sun exposure because it’s so strong here… we usually just stay covered up, in shade, or wear hats etc. Now however I’ll have to be “less” careful – and take supplements. I’m going to share this with some other moms I know, too! Thanks for posting. I wanted to shout out to tell you that I appreciate your postings. I have been on antidepressants for several years now. Along the way, I have had to get them increased in dosage and changed up for stronger drugs.This year, I have determined is the year to free myself from these drugs with God’s help. I have spend this entire year marching myself down off of them in a safe way. Now I am finding myself back in the same place as when I first went on them. Depressed, quick tempered, fatigued, unfocused, forgetful… Doc tested for thyroid and said it was fine. Not sure what the next step is. I am seeing a natural med pharmacist who mixes me up some tablets to help but I am still feeling that something is amiss. It may be time to see another doctor. Hi. There can be so many things. For me a diagnosis of Fibromyalgia/Chronic Fatigue and a Dr who specialises in these have helped so much – reducing wheat had a big effect on the brain fog and therefore frustration. Also for me dairy and eggs. Then B12 to help detox and Vit D. Still doing more tests but even those have helped greatly so that instead of thinking that I was actually going mad, I can now think and reason. Great list! Would love to see adrenal issues added to the list. They can often be an underlying cause to almost all of these issues but rarely noticed by medical doctors. My third ND finally pin pointed adrenal deficiency as the root cause for me and since treating those first I’m finally starting to feel better! Morgan – great point about Adrenal issues causing grumpiness and fatigue. And if from what I’ve learned, lack of sleep can certainly play into those issues as well, certainly a possible issue for those of us with youngsters waking frequently. My doctor had blood work done on me and found my vitamin D levels were extremely low. She said that this can also cause irritability and short temper. After taking a supplement to get it back up, I was a much happier mom. The last couple of weeks I slacked on taking it consistently and have noticed that I am irritable once again. Something you might ask your doctor about too! 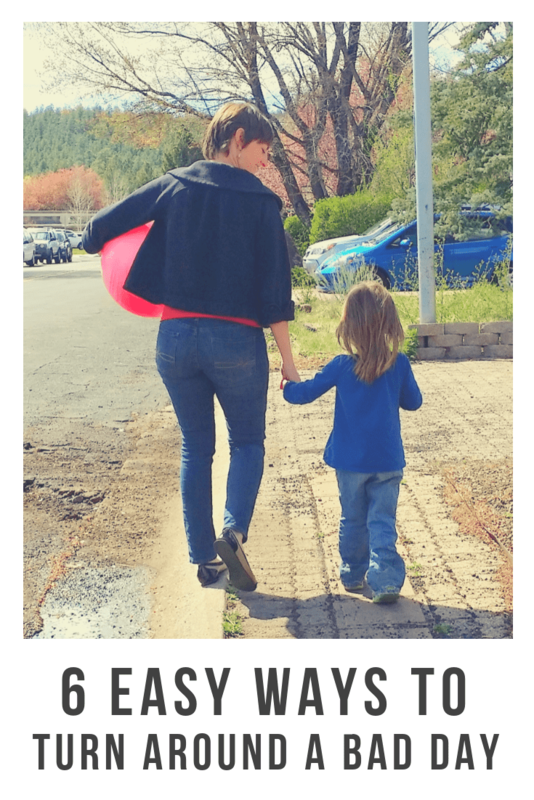 Thanks for taking the time to write and research this topic, I love reading your blogs…being a mum is very rewarding yet hard at times the number 1 rule is to take care of yourself so you can take care of your family, which I had forgotten. I would defiantly recommend to any mother out there if you have any of the above symptoms take sometime for yourself and go and get checked out, I am speaking from personal experience, I was constantly tired and feeling run down, grumpy, irritable and always getting sick, cut a long story short….. I assumed that it may have been stress, I am a mum with two teens work fulltime as a pre-school teacher and then did a night time cleaning job, so saying all that I assumed I needed to slow down. I then started getting irregular periods, which to me seemed more than stress so I eventually went to the doctors, I have been diagnosed with hyperthyroidism (Graves disease) which I may have had for sometime as I have also developed multinodular goitres. I am waiting to find out some more test results before I can start a treatment plan and start to feel like myself again. Stick with it! I’m right there with you (I’m also a preschool teacher and have a teen, a tween, and a toddler). Felt the same way as you for YEARS! I’ve had my thyroid tested several times – nothing shows up. BUT, I test low on everything (blood pressure, heart rate, metabolism, thyroid). I finally started a new treatment at home – and a new gluten-less / sugar-less diet that has worked wonders! Also, I started a treatment for Candida (yeast and fungus) that has made a difference as well. Good luck and stick with finding answers. I never knew that I could feel so great! This is awesome! I suffered my whole life from being grumpy! I was diagnosed with hypoglycemia when I was almost 18 (I was having seizures) – but I never took the diet seriously. They recommended a low-sugar, no-white flour diet…and that was 25 years ago! I’ve been tracking my journey, but this is right on. When your hypothalamus gets crazy, everything gets crazy (hunger, thirst, mood, parenting, sleep, awake, anger…everything!) So, now I’ve started a new nutrition supplement and diet lifestyle that has changed everything! I’m sticking with it. My husband, my kids, my parents…they’ve all noticed a difference. Who knew that my completely anti-social behavior (my whole life!) was a result of blood sugar issues! Wow, thank you for that. I think my daughter and husband might fall in that category! 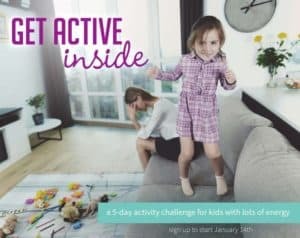 I’m guessing most of these ideas could help dads too ? How do you get enough sleep when your kid is up constantly throughout the night? Haven’t slept well in 2+ years and yup in grumpy. Audrey – I experienced the same thing! Lack of sleep made me a miserable (and angry) person. I ended up finding a solution with a health and nutrition supplement company that completely changed everything for me! I also found out that I had a major vitamin B & D deficiency (which control both mood and energy)!!! I now get restful sleep even when I get woken up, I have an abundance of energy, and I am so fricken happy!!!! I can totally talk to you more about my experience if you feel like messaging me… These vitamin supplements have been a life saver for so many non-sleeping and moody moms in my life!!! Can I please ask what they are? I’m in Australia though. I wish I knew the answer to how to get sleep when kids are waking you. I had years of that myself, and still my youngest wakes up at night multiple times during the week. What I think would have helped me years ago would be if I had taken sleep really seriously and done things like go to bed earlier, (knowing I’d likely be woken up in the night) taking naps or just dozing on the rare day that would be possible, and eating well so that my blood sugar stayed alright at night and didn’t add to the wakefulness. So, it’s no perfect answer, but I think if had made sleep my top health priority earlier, I would have seen more opportunities get at least a bit more of it. ((Hugs)) sleep deprivation is crappy. That would definitely make me grumpy too, Jill! Ouch. I’m really surprised to see vitamin D wasn’t on this list. Lack of vit D can cause depression, frequent illness, lethargy, etc. 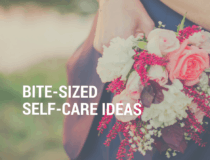 Thanks for the gentle reminder and tips about self-care. I’m also low on sleep caring for our almost-four-month-old. I realized that loneliness was adding to my burden and “escaped” for the weekend with our baby, my folks, and my nephews (ages 3.5 years and 10 months). It’s a madhouse but we are taking turns! Hi Pranvera! I totally empathize. And I love to share because I know that there are soooo many other people out there that are going through what I went through… I will message you. Hey Melanie – your comment (along with a couple others here on this post) really moved me to want to reach out to you to tell you that there might be another solution for you! If you are open to exploring the world of nutritional supplementing, please message me. I work with lots of people in this industry and I am surrounded by their success stories where they have corrected the health issues you mention (and gotten off medication) with supplementing. I just wanted to reach out to tell you that the possibility DOES exist for you too. Let me know if you want to have a conversation – totally friend me!!!! I also was so sleep deprived when my nine month old was waking every other hour. It was torture! 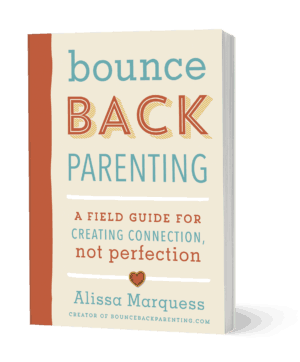 My biggest mistake was not having a sleep plan o’tack or schedule to try with my baby girl. I actually hired a sleep coach at 9 months cuz I was at wits end… She helped get my kiddo sleeping in a gentle way that fit the baby’s needs, so I could actually get some sleep too… it was the best money I have ever spent! Happy (well rested) mommy = happy everything! An old friend wrote to ask me about my health and if I thought physical health had anything to do with happiness within a relationship. The letter below is my response to my friend. Although I spent more time discussing my relationship with my husband in this letter, please know that my relationship with my son, who I am am home with all day every day, is effected more by my use of caffeine. I think nutrition is the center of everything in life. Most diet books agree that good health is a three step process: detox, nutritious food, and vitamins and mineral supplements. I’m still searching for the diet that is right for me. Should I follow a raw vegan, or a grain-free paleo diet? One thing I can say with absolute confidence is this: everyone should quit coffee and all caffeine. Seriously. The withdraw symptoms are brutal and the loss of the ritual is heartbreaking, but the peace found weeks later is worth it. I like to tell my friends (they think I’m kidding but I’m not) when I’m drinking coffee on a daily basis, I’m generally displeased with life and more importantly, Todd is simply not “good enough”. Funny isn’t it? I’m satisfied in my marriage when I give up my sacred morning ritual and my cherished afternoon pick-me-up. It has been such a struggle for me to give up coffee. Here is the cycle I live: After not having coffee for a month or two I have a cup of coffee and I am filled with feelings of hope and compassion. Those are wonderful feelings, you know, so I start drinking coffee once a day and I’m happy and in love with life. Then after a while I find that I’m not sleeping very well. Now I feel tired during the day so I add an afternoon cup of coffee. Over time I’m drinking two cups of coffee in the morning and espresso in the afternoon. I have nightmares often. I become less productive in a day and I start getting behind on things like laundry, dishes and housework. I’m less patient with people in my community, I snap at my son and I get enraged with Todd when he makes small mistakes or there are misunderstandings. I wouldn’t say I’m depressed but I’m not happy and I keep blaming Todd in my head or out loud for all of his short comings. After a couple months I finally remember that coffee is the catalyst to all this unrest and so I decide to cut it out. I’m not successful cutting back on caffeine so I cut it all out at once. I go through a week feeling awful. I was unhappy before, now I’m really unhappy. After about three weeks without coffee have passed I feel better. As more time passes I find that although I really miss the morning coffee ritual, I have energy in the morning without caffeine. The nightmares are gone. I sleep well at night. I not only complete the house chores that I hate but I have energy to make improvements on the house or fix toys that have been in the broken pile for months. Best of all I’ve fallen in love with Todd again. I’m no longer disappointed by him. Instead I’m grateful for him. But he hasn’t changed, I have! Then one happy day we go window shopping and we stop into a cafe. I haven’t had coffee in months and I think, “just one cup won’t hurt…” And the cycle continues. I have pancreatic cancer and also use Mydoterra oils. Mixing a tea spoon of pure coconut oil with 10-12 drops of Melaleuca has helped the neuropathy in my feet. Put it on after a shower and your feet are dry, then put your socks omn right away. You don’t want to walk around without them sine it’s slippery. That mix should last about 4 days. Another oil “Breath” also helps with breathing. Just pure coconut oil is great for moisturising your skin which can dry out due to chemo. R u actually… Good idea!! Another one is magnesium deficiency. I notice that when my magnesium gets low that annoying twitchy eye lid starts up, loud noises start bothering me (a child screeching, a door being shut too loudly or the general combo of four kids having fun), and I have a short fuse rendering me incapable of managing conflict between kids ranging in age from 2-9 years. Now I know to keep it in check and balance it with calcium and Vit. D. It really has made a world of difference. And I see a lot of supplement suggestions, please use whole food based supplements. Our bodies don’t absorb synthetic ones the same way. How about being 31 weeks pregnant? Does that count? Bc I have zero patience/tolerance/sense of humor, and fantasize about naps and running away hourly. Also about tying my shoes without discomfort. And beer. I so agree with caffeine causing irritability. I’ve realised that not only does it make it irritable, too many cups make me angry, unable to cope with more than one thing at a time, and also incredibly tired. I still have 2 cups a day (instead of 5 or 6) and I’ve replaced those coffee’s with water. Whilst it’s nowhere near as enjoyable, my brain is clear, I am calm and I dont feel like I could fall asleep standing up by 2:30pm. Sounds like a case of 31 weeks pregnant Sarah Moise Young. Yup. 😉 Hang in there! Hi Jennifer Phillips, can you msg me too about supplements? Thanks! Vitamin D could be on there too 🙂 Without supplements I’m really really moody. 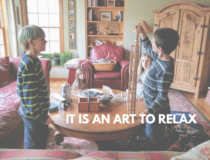 Im a grouchy mom and I have 4 of these 6 issues. Unfortunately not much can be done about them but at least i dont feel so guilty now! presently. It is a constant source of stress and noise pollution. learn to be assertive. Constantly angry people should ; get their blood pressure and heart checked. Please also check for Lyme disease which can mask itself as many of the things you mentioned in the article. I was recently diagnosed with Lyme and it turns out that it has many mental symptoms such as irritability, rage, depression, mood swings and even pychosis and other more serious issues. I think chopping back the to do list. Reducing expectations. Getting help – especially to get more sleep or take some ‘mind time’, the mothers who do it all are either lovers of pain or incredibly unfortunate. Yes, eat more regularly to avoid low sugars – I am still making this mistake! And dont worry what other people think if you havent even done your hair, your house is messy, etc. I know I am a little bit too young to ask questions but I do not understand why I am always in a bad mood. I mean all the time. I dont know if it is hormones or what but I get tired of it because now it is getting to the point to where my boyfriend does not want to talk to me or my friends bale on me and my family it seems have already just abandoned me. So all of that just because I am grumpy 24/7 all days off the week.